HomeEventsWebinar - The Assessment Maze: How do I Decide? THE ASSESSMENT MAZE: HOW DO I DECIDE? As a coach, determining if one should be incorporating assessments into their work with clients can be overwhelming. Not only that, but if you decide to use them, where do you even begin? If the assessment quandary sounds familiar to you, you won’t want to miss this webinar. You will hear from three coaches who have been trained in and utilize three different assessment tools—The Enneagram, StrengthsFinder, and Insights. We will spend 90-minutes introducing you to these three tools, how they can be used, pros and cons, cost, and ease of use. The StrengthsFinder assessment measures your natural patterns of thinking, feeling and behaving, so when you're done with the assessment, you'll have discovered your talents and can build from there. The INSIGHT Inventory personality assessment helps people identify and utilize their strengths and eliminate the triggers and stress reactions that derail success. To provide insight, into three assessment tools to assist coaches in determining best fits for their practice. Danielle is passionate about empowering women to find freedom and live in authenticity as they make an impact on the world around them. Danielle has been coaching for 4 years and specializes in Enneagram and group coaching. She landed on the Enneagram as her primary assessment tool after a thorough search looking for an assessment that worked with her coaching style. The Enneagram has become an invaluable tool to help clients discover who they are, why they do the things they do, and identify the things holding them back from moving forward with living their best life. She is the owner of Danielle Allen Coaching & Consulting and coaches individuals, teams, and groups. She holds an M.A. in Theological Studies, has been trained as LCPC (Life Coach Practitioner Certification), MCPC (Master Coach Practitioner Certification) through Learning Journeys, the International School of Coaching and in the Enneagram through Your Enneagram Coach and with Ginger Lapid-Bogda who runs The Enneagram in Business. Danielle also serves on the ICF MN Board of Directors. Jean Davidson brings roughly 25 years’ experience in business, education and consulting to her teaching. Her background includes consultation, management and training in the financial services, retail, pharmaceutical, healthcare, and technology industries. She has also worked in academic and government environments on small and large group interventions. Davidson has had significant success in team development, leadership coaching, culture change, and the development and successful implementation of strategic business initiatives. Jean has gained practical field experience through her everyday work with executives, middle managers, and line employees to implement business critical strategies such as customer relationship management systems, mergers, acquisitions, global expansion, restructuring, and enterprise resource planning. In addition, she frequently presents at conferences and workshops on both the national and global level. Jean holds a doctorate in Organization Development from the University of St. Thomas. In addition to her role as Principal, for Davidson Consulting, she is an adjunct faculty member at the University of St. Thomas and Executive Fellow in the Organization Development and Change doctorate program there. 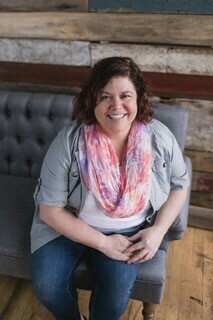 Her doctoral research focused on leadership transitions, and she has recently created a self-coaching tool based on that research (www.transitionsjourneydeck.com). In Jean’s spare-time she can be found teaching Jazzercise (35 years as an instructor), golfing (her newest obsession) or spending time with her family (husband, 3 children, 10 grandchildren and 2 Siberian Huskies) where she lives in Woodbury, Minnesota.